Gardening with hydroponics is one of the most revolutionary new ways of getting the largest yields of your life and make sure that you have grow after grow of high quality product. Whether you are growing vegetables, or any other herbal supplement, you can benefit from hydroponic gardening. Since you’re not using any kind of soil, they are the best option for anyone who is short on space, but wants the high yields that traditional indoor grows earn. Not only them, growers of any size can benefit from the unique abilities of hydroponic growing. Once you know all of the basics, though, you can decide what would be best for your own grow room and which hydroponic systems are best suited to your needs. These are absolutely perfect for small grow rooms. A rooftop, patio, closet, virtually anywhere can be made into a fruitful garden thanks to the powerful nutrients possibilities that hydroponic systems provide. Hydroponic systems are the most cost effective methods of growing any crop you could want indoors. By recycling all of your nutrients and water, you will end up using far less water than even using soil. The growing mediums used in hydroponic systems can be recycled as well, making this an incredibly efficient way of taking your grow indoors. Hydroponic systems allow you to avoid the toxic pollutants that are usually found in populated areas. No matter how hard you try to stay organic, if there are pollutants in the surrounding area, they can end up in your crops. There is no need to worry about many of the usual pests when growing hydroponically. All kinds of pests and diseases thrive in soil, but that is impossible in quality hydroponic systems. Hydroponic systems offer a chance to have higher yields and promote faster growth due to the enhanced nutrient delivery system. Water Culture Hydroponics. 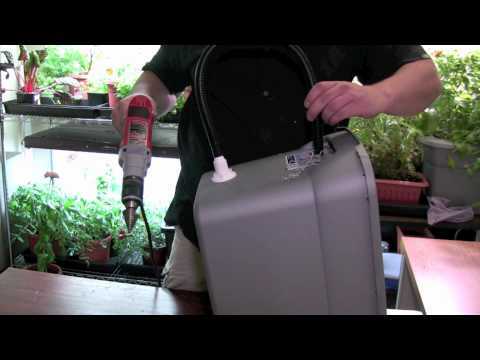 This is the simplest method of hydroponic growing and is what most people are familiar with. It is very popular and simply allows your plants to float on top of a nutrient solution that provides exactly what your plants need, which comes from liquid nutrient solutions. The plants are held in place with styrofoam and underneath these containers bubbles provide a mixture of oxygen and nutrients and keep up with all of the complex aspects of hydroponic growing. Wick Hydroponics. This is what is known as a passive system in the hydroponics world. There are no moving parts in this system and a shallow tray simply contains wicks that link the tray to oxygenated air stones that supply the oxygen and nutrients to the plants. Using wick systems requires very good air stones in the reservoir, though, or else your plants will start to suffer incredibly bad. Deep Water Culture. This is very similar to the water culture hydroponic systems above, but this is more widely used. Using net cups to hold the plants, DWC nutrients are sent to the roots that hang below inside of the oxygen rich environment that uses high powered air stones to give your plants exactly what they need. This kind of setup is very easy to build and is even a great DIY project that many people undertake to kick start their new hobby. The only thing to keep in mind, though, is that the air stones should be powerful enough to create bubbles that constantly splash the roots and provide the perfect source of nutrients. Drip Systems. This is similar to Deep Water Cultivation in that they are suspended above a nutrient filled reservoir. The difference comes in the fact that these systems use types to drip feed roots in combination with air stones to get the best of both worlds. In that way, every aspect can be controlled in a way that takes care of each individual need of each individual crop. Drip systems require frequent cleaning, but when they work properly they are an excellent way to have incredible yields. Ebb and Flow Hydroponics Systems. Ebb and Flow systems were one of the very first kinds of hydroponic systems that became popular and are ideal for indoor growing operations. With this kind of system, rock wool cubes hold your plants and sit in a tray that is set to flood several times a day. They require very little maintenance once you get them going and it can be adapted to large or small scale grows alike. On top of all of that, they can be incredibly affordable to initially set up. The kind of hydroponic system that you end up using in your indoor grow will depend on your needs, your space, and the amount of effort that you are willing to put into the grow. Some require more maintenance than others, but no matter which option you choose, hydroponics will exponentially enhance your growing operation.